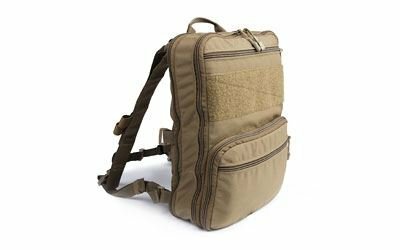 Haley strategic partners flat pack, backpack, 14"x10", Coyote finish, 500D cordura mil-spec nylon material, expands to over 1400 cubic inches, includes hydration carrier for 1-liter bladder, shoulder and chest strap, expanded main compartment 14"x10"x6 flat pack-plus-coy. If you have any questions about this product by HSP, contact us by completing and submitting the form below. If you are looking for a specif part number, please include it with your message.